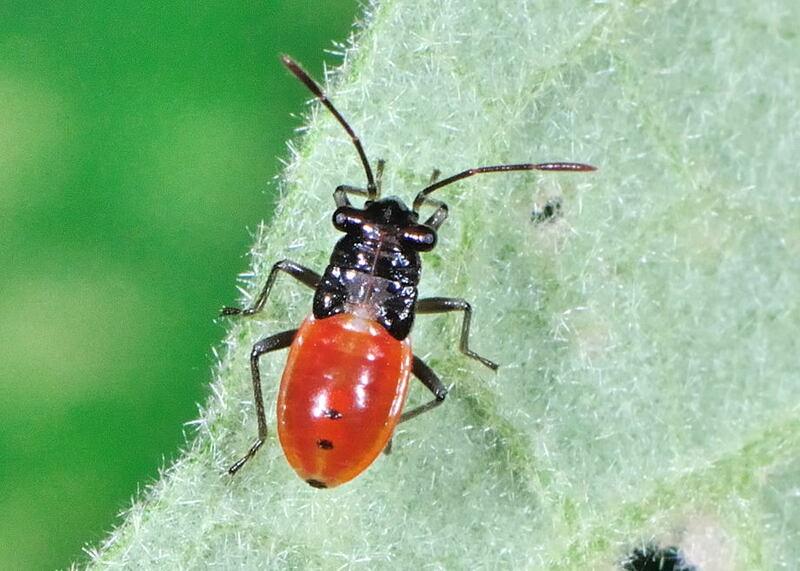 This page contains pictures and information about Stalk-eyed Bugs in Genus Scopiastes that we found in the Brisbane area, Queensland, Australia. 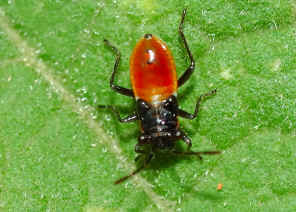 The Genus Scopiastes has eyes on stalk so we commonly call those bugs Stalk-eyed Bugs. 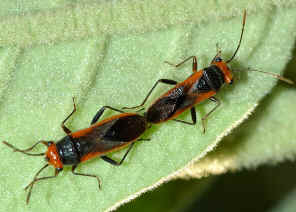 They have strongly punctuate pronotum. Their body is narrow and elongate with parallel sides. This medium size bug runs fast when disturbed. 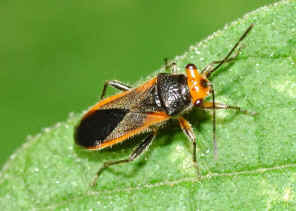 It is black with yellow to bright orange-red background colour. The centre of head is black in colour. Its ocelli slightly closer to each other than to eyes. 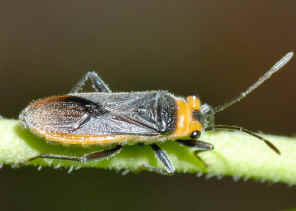 Antennae and legs are black in colour. Please check this page for more information. This small bug runs fast when disturbed. 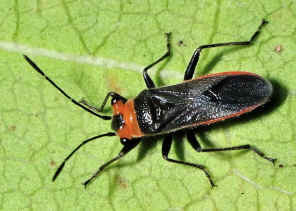 It is black with orange-red background colour. 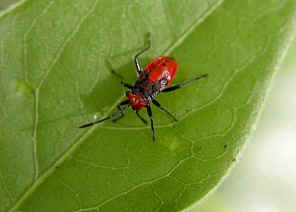 This bug can be found easily on Wild Tobacco Solanum mauritianum. Please click here for more pictures and information. This small bug runs fast when disturbed. It is black on red background colour. Please check this page for details. 1. Insects of Australia, CSIRO, Division of Entomology, Melbourne University Press, 2nd Edition 1991, pp 499. 2. LYGAEIDAE - Australian Biological Resources Study, Department of the Environment, Water, Heritage and the Arts, 2002. 3. A taxonomic revision of the Lygaeinae of Australia (Heteroptera: Lygaeidae) - Slater, A., University of Kansas science bulletin, v. 52(8,i.e.9) p. 301-481, 1985.